Twin dormers, multiple gables and bold columns create a lovely Traditional exterior, while inside, the floorplan provides a natural traffic flow. A pass-thru with breakfast bar, built-in cabinetry, fireplace and ceiling treatments add custom features. Perfect for outdoor living, the rear porch includes a wet bar, skylights and French doors. 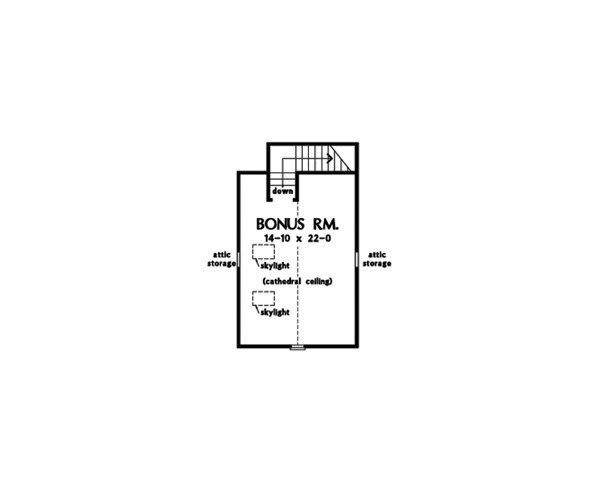 1st Floor: 2243 Sq. 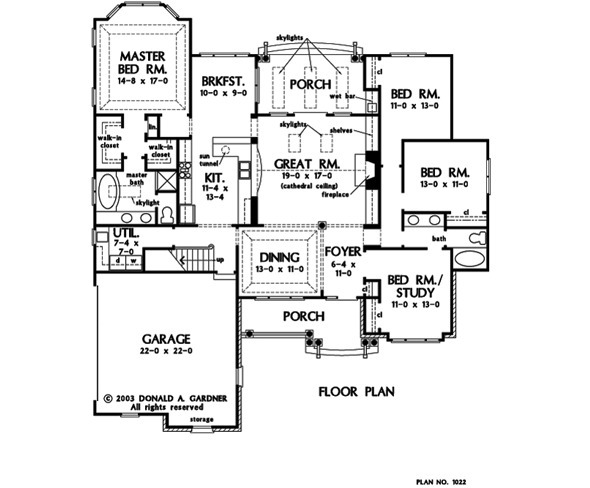 Ft.
House Dimensions: 62' 0" x 67' 2"
Master Bedroom: 14' 8" x 14' 8"
Porch - Rear : 16' 8" x 9' 4" x 9' 0"
Porch - Front : 18' 9" x 6' 2" x 9' 0"
Great Room (Cathedral): 19' 0" x 17' 0" x 17' 8"
Utility Room : 7' 4" x 7' 0" x 9' 0"
Bonus Room : 14' 10" x 22' 0" x 11' 11"
Master Bedroom (Tray): 14' 8" x 14' 8" x 10' 6"
Bedroom #3 : 13' 0" x 11' 0" x 9' 0"